Puree the hulled strawberries in a food processor or liquidiser then press through a sieve into a bowl. Stir in the readymade custard and mix until smooth. 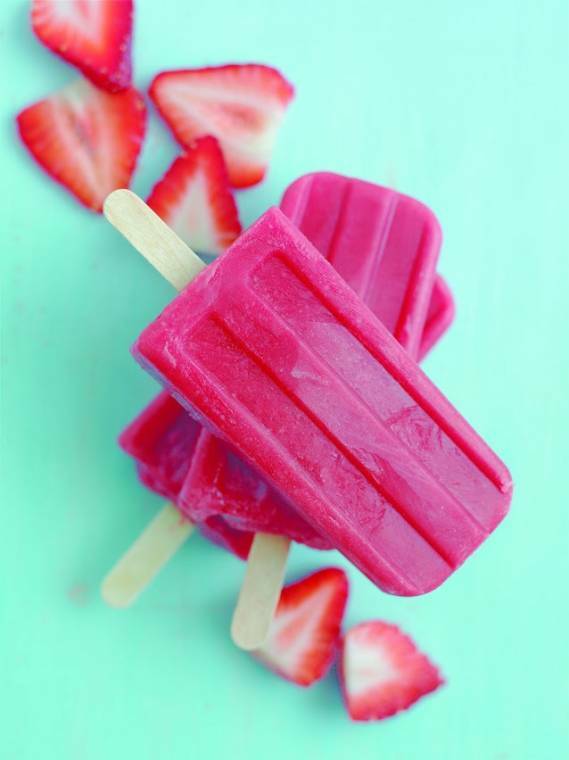 Pour into 6 lolly moulds, add lollysticks and freeze overnight. Dip moulds briefly in warm water then lift out of the moulds.